America's fabric is woven with the stories, experiences, and cultures of generations of immigrants. As always, the "Land of Opportunity" continues to draw people from all walks of life in search of a better future. 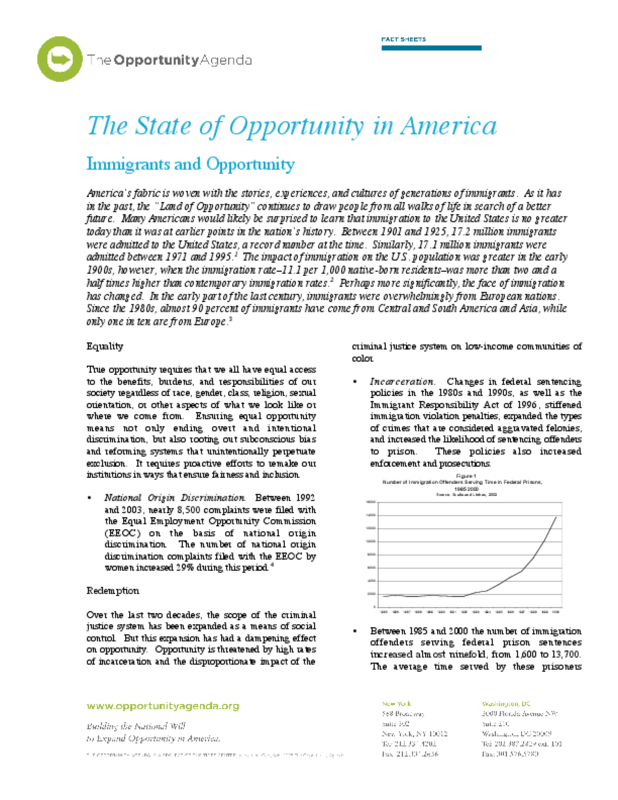 Find out how immigrants are faring along our 6 dimensions of opportunity.